Rachel Andrew, Fronteers. 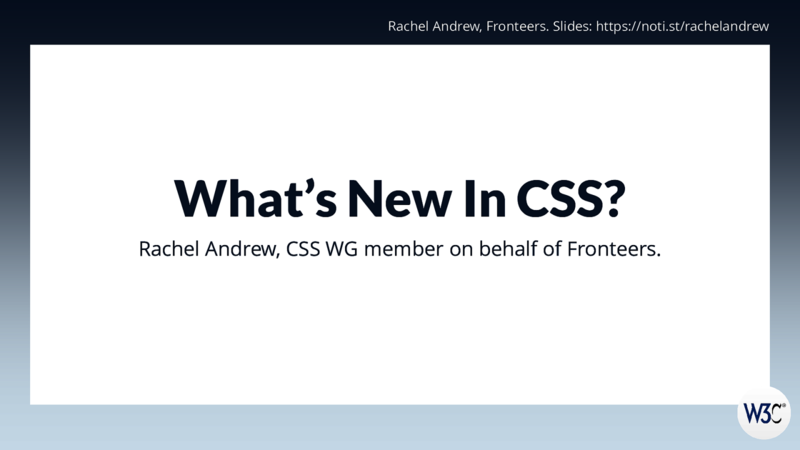 Slides: https://noti.st/rachelandrew What’s New In CSS? Rachel Andrew, CSS WG member on behalf of Fronteers. View What’s New In CSS? on Notist. A lightning talk for the W3C AC Meeting. This is a somewhat biased look at new things in CSS - biased in terms of these being things that mostly have some implementation. Also in terms of these being things I know that authors are especially interested in right now.